Trying to achieve your weight loss goals can be a daunting task, but many people find that a little bit of help from a high quality product such as FenFast 375 diet pills can make all the difference in the length of time it takes to achieve their goals. The reason is that FenFast 375 diet pills weren’t created to do the work for you. However, they were designed to make your dieting and exercising much easier. During the actual weight loss process, the habits you build are very important to whether or not you will be able to reduce your body fat in the first place, as well as whether or not you will be able to keep it off once you are no longer officially dieting. The hardest part of a habit is in building it. Once it’s a part of your daily routine, you don’t even have to think about it anymore. You just do it. 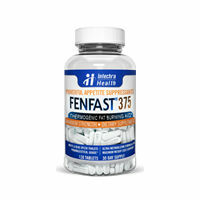 Therefore, by choosing FenFast 375 diet pills, you’ll take it upon yourself to reduce – or even eliminate – the struggles that you would otherwise be facing when you start cutting down on the amount you eat, choosing whole foods at a better nutritional balance and exercising on a more regular basis. It can do this by removing some of the issues that can make those habits hard to form. For example, it can reduce the appetite so you will feel less likely to overeat and so you’ll feel more satisfied by your meals. It can also give you a boost of energy so you’ll be able to put everything you have into your workouts. In this way, FenFast 375 can not only help you to achieve your weight loss goal faster and more easily, but it can also make it possible for you to set yourself up for long term weight management success, because by the time you stop using them, you’ll have built these healthful activities into your regular everyday life. The key is to make the right choices and to be sure to keep up the use of the diet pill in a consistent way. Setting up routines that incorporate proper eating and activity are at the very core of your success. You’ll be able to start a whole new and healthier life for yourself. Then, it won’t be long before your habits have been formed and you’re keeping it all up without any assistance from a pill.